Of the three grandchildren, this one is the most mischievous. His mother tells me he did it again the very next day. And the hundreds on the floor are no longer worth anything. Muahahahahahahaha!!!! Just look at that adorable innocent face!!! How to scold like that? 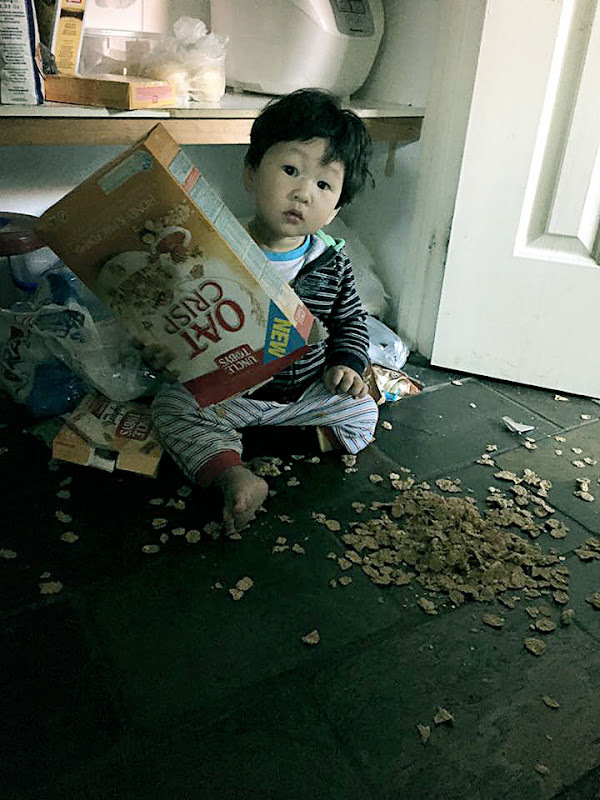 Maybe he thinks there is a toy inside - some cereals would give that in the box. Yes, I didn't think of that. But his brother and sister were much better behaved when they were his age. He is a rascal. He's holding the biggest box. Smaller ones around him. He has not only curiosity. He probably has concept of relative size or magnitude. Doesn't look like a rascal either. Is his way of learning!